Behind every great law firm is a great leader, and Jon Robinson fills that role at BRE Law. Jon is the grounding force behind the success of BRE Law, as he models integrity, competence, and passion. For over 45 years, Jon has tenaciously tackled cases many large firms wouldn’t consider. He believes in and fights for the underdog, and usually wins. Jon has a knack for discovering the hidden truth and using it to his client’s advantage, and this makes him a force to be reckoned with. Of course, results speak louder than words, and his successful lawsuits against major corporations set him apart from other personal injury and products liability attorneys. He has a reputation for being fair, determined and focused; and that reputation, combined with the energy of his partners, makes BRE Law a formidable opponent. On a more interesting note, Jon swings a mean golf club and is very popular on the charity golf circuit—partly for his winning personality and partly for his low handicap. Depending on the season, you will find him “surveying the land” as much as he can. Jon Robinson obtained his Bachelor’s degree from the University of Illinois and graduated from the University of Tennessee College of Law in 1971. Upon graduation, he joined the firm of Hull, Campbell & Robinson. Upon the retirement of his partners, he formed the law firm of Bolen Robinson & Ellis, LLP. Jon is admitted to practice before the United States District Courts for the Northern, Central and Southern Districts of Illinois, the Seventh Circuit Court of Appeals, the United States Supreme Court as well as other Federal District Courts throughout the United States. Jon served as co-lead counsel for Plaintiffs in Garza, et al. v. Sporting Good Properties, Inc., No. SA-93-CA-1082, 1996 WL 56247 (W.D. Tex. 1996). Garza involved approximately five million class members who owned defective Remington 12-gauge shotguns at the time. Garza was the culmination of 18 years of litigation for Jon against Remington Arms Company. Other cases of note include: Andrews v. Kowa Printing Corp. 217 Ill.2d 101 (2005); King v. Remington Arms Company, No. 89-CA-340-MR, (Ky. Ct. App. 1990), cert denied, 499 U.S. 948 (April 1, 1991) (No. 90-1296); Loitz v. Remington Arms Company, 177 Ill.App.3d 1034 (4th Dist. 1989), aff’d in part, rev’d in part, 138 Ill.2d 404 (1990); Moore v. Remington Arms Co., Inc., 100 Ill.App.3d 1102 (4th Dist. 1981). He continues to litigate complex cases in Federal and State courts throughout the United States. Jon was also lead counsel for the Plaintiffs in Bland, et al v. Fiatallis North America, Inc., et al., No. 2002-CV-69 (N.D. Ill.) and was instrumental in obtaining a favorable ruling from the United States Court of Appeals for the Seventh Circuit on behalf of the Plaintiffs. This case was a complex ERISA violation matter and involved hundreds of retirees. He continues to be involved in national and state class action cases. Jon is a member of the Decatur Bar Association and the Illinois Bar Association. He has served his community through support of the United Way, Boys Club, YMCA, and Community Home Environmental Learning Program Board (CHELP). 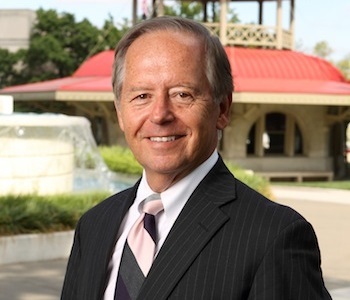 He is a past Director of Mutual Home & Savings Bank, Decatur and has served on the Boards of Directors for St. Mary’s Hospital, Friends of St. Mary’s Hospital Foundation, and Regions Bank. He is an active member of Lampstand Presbyterian Church and serves on mission teams locally for the Lost Bridge Great Banquet and throughout the United States and in Jamaica for Lampstand Ministries, Inc. He is married to Kim, and they have five children and five grandchildren.